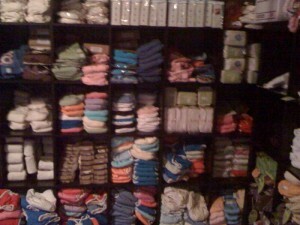 By the end of June, all going well I will be moving most of Nappy Shoppe out of my house into a warehouse office space. 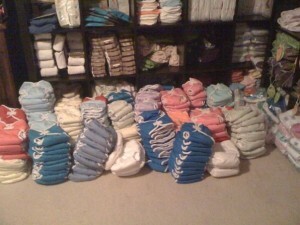 When I started Nappy Shoppe in August 08, I didn’t think it would grow so fast and so much! It has been a fun ride! 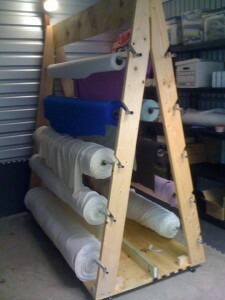 In October, I finally got a 10×15 storage unit for the fabric rolls so I could give Braden back his bedroom. This allowed me to add detergents to my store line up. Then a month or two ago, we added another 10×10 storage unit in which I store diapers. This allowed me to add more brands. I still have shelves from Ikea in my master bedroom that stock a lot of the diapers, shelves down the hallway that stock G-flappers, and shelves in the game room that stock covers and training pants. Then there is all the shipping materials! 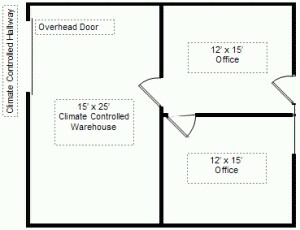 So after much hunting, I found an office/warehouse space that I could actually afford! It is part of a storage unit facility that is only a mile further away than my current one. While it is not a storefront (I do not wish to man a storefront because I want to be there for my kids), it will allow for locals to come and pick up and check out diapers before buying by appointment. The whole thing is climate controlled, and we plan on moving most of the sewing there too, which means I may be able to get to making quilts again in my sewing room! Here are some “before” shots of how I have crammed things into the house and storage unit. This is just part of the shelving in my master bedroom. I have two sets of this! Rolls of fabric on the stand my husband and father in law made. Shelving in one of the storage units. This was BEFORE the second storage unit. 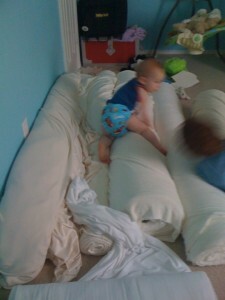 Braden in his room BEFORE the first storage unit!